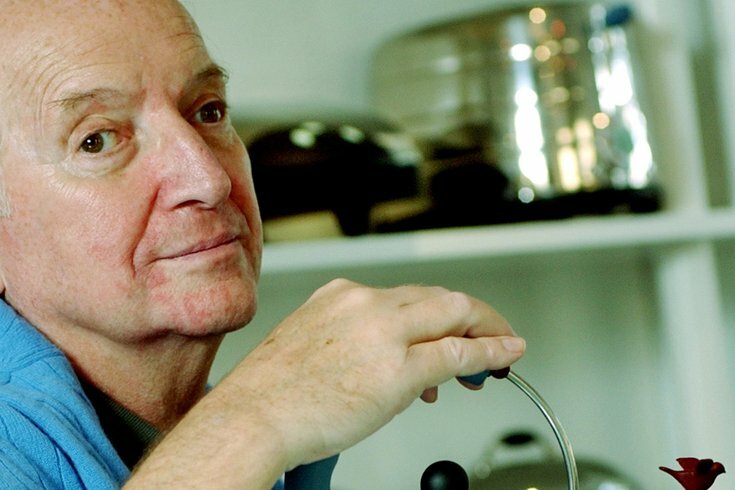 In this Oct. 21, 2003 file photo, architect and designer Michael Graves poses with a teapot he designed at his studio in Princeton, N.J. Graves, who designed modern and whimsical postmodern structures and household goods sold at Target, died Thursday. 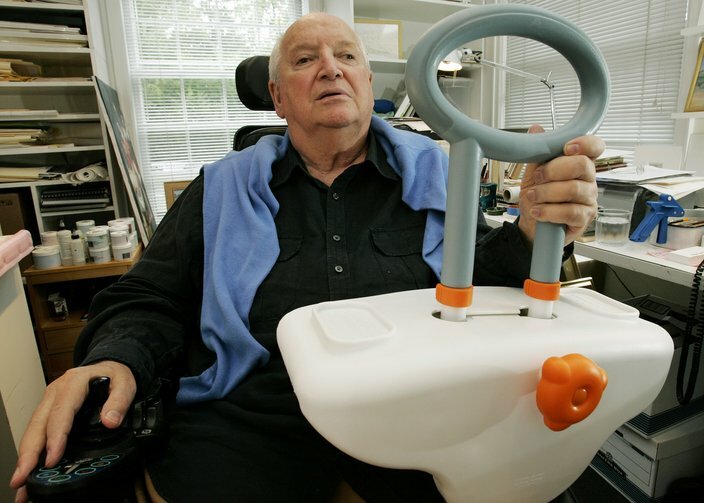 Michael Graves, the Princeton-based post-modernist architect famous for designing more than 350 buildings around the world and more than 2,000 everyday consumer products, including the teakettle, died Thursday. He was 80. In a statement to the The New York Times reflecting on Graves' life and passing, the firm referred to him as an extraordinary designer, teacher, mentor and friend. Graves, who began a 40-year teaching career at Princeton in 1962, recently helped establish the Michael Graves School of Architecture at Kean University in New Jersey. According to The New York Times obituary, he was first associated with the New York Five, a group of architects who achieved cult-like stature by helping to redefine modernism in the 1970s. He went on to design projects like the headquarters of the health care company Humana in Louisville, Ky., and the Portland Municipal Building in Oregon, which exemplified postmodernism with their reliance on color and ornament and made him a celebrity. He used his fame as a brand, designing housewares for Target while continuing to run a busy practice, even as postmodernism fell out of fashion. [Graves] left a large portfolio in Philadelphia. It ranges from the cartoonish Eagles NovaCare practice facility near the sports complex, with its flattened billboard of a facade, to Temple University's bloated Alter Hall. You can also see a flattened pediment on the pavilion he designed for the Sporting Club on Broad Street, writes Philadelphia Inquirer architecture critic Inga Saffron. He had been paralyzed from the waist down since 2003 as a result of a spinal cord infection and used his personal experience as the catalyst to become an advocate of health care design, including creating the bathtub grab bar. Read the entire New York Times obituary here.